The producers of Welcome to Macintosh, “‘The documentary for the rest of us.’ the first documentary of its kind to mix history, criticism and an unapologetic revelry of all things Apple into a movie experience,” have extended a special offer to Mac User Groups everywhere to make their creation part of your upcoming meetings. By signing up to be part of their User Group Tour and host a screening, your group will receive a variety of benefits, including publicity, give-aways, discounts on purchases of the DVD version of the movie for your members, and more. For all the information on the program, visit the User Group Tour page on the Welcome to Macintosh site, and sign your group up. You can hear co-directors Rob Baca and Josh Rizzo talk about their film on MacVoices #8150. 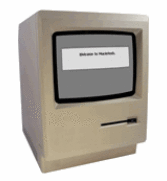 MacinTech Computer Users Group, Inc.